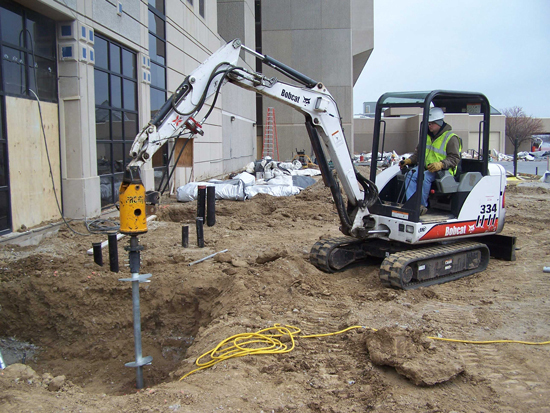 Looking to permanently repair the foundation of your commercial construction sites? Foundation Specialties LLC is Arkansas's local foundation repair company offering quality solutions and permanent repairs to commercial businesses. 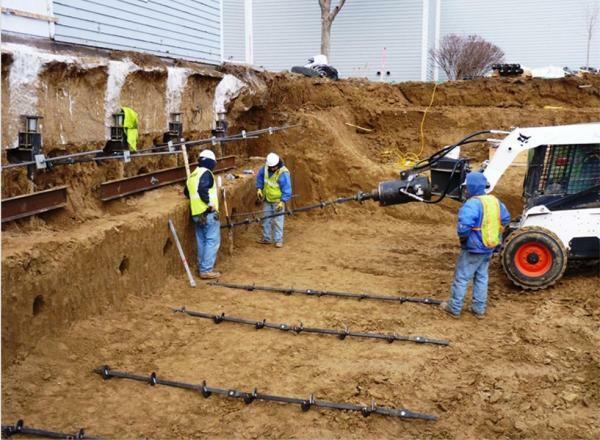 Foundation Specialties LLC offers a complete line of foundation products for the remedial repair of existing structures as well as end-bearing deep foundations for new construction applications. Contact us today for a free foundation repair estimate on your commercial business. As a commercial foundation repair company in Arkansas, we are an employee owned business, offering our services locally to business owners throughout Greater Fayetteville, AR. We offer our reliable foundation repair service in Fayetteville, Springdale, Lowell, Harrison, Mountain Home, Bentonville, Van Buren, Bella Vista, Alma, Siloam Springs. Our company is part of a large international foundation repair network, Supportworks, Inc., with over 100 contractors offering the same uniform innovative products and permanent solutions to every commercial site that needs our professional services. Being part of the Supportworks network, dealer training is a vital function, holding more than 15 major training events per year for each dealer and employees. This way we can ensure our customers are receiving the most current and advanced solutions possible with the proper installations. The Supportworks has major facilities in Omaha, Nebraska and Seymour, Connecticut, and continues to grow. 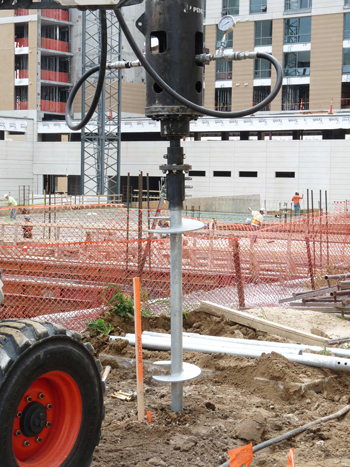 Contact Foundation Specialties LLC, for any of your commercial foundation problems. We are part of a vast network of foundation repair contractors, Supportworks, providing new and existing commercial solutions. 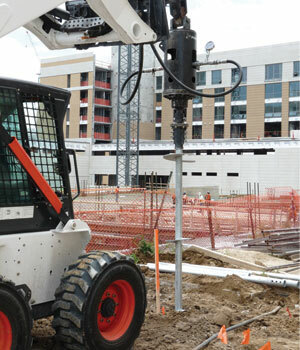 Supportworks is a leading designer, manufacturer, and distributor of foundation stabilization systems. All Supportworks Inc., manufacturing facilities meet ISO 9001 standards and are approved by the Canadian Welding Bureau. All galvanized steel products are manufactured in accordance with ASTM A123 & ASTM A153 standards for hot-dip zinc coatings. Each and every product is routinely spot checked by engineers to ensure precision and quality workmanship. Where design and testing standards exist, such as with ICC Acceptance Criteria 358, our innovative products are designed and then tested in accordance with those standards. Where standards have not yet been established, Supportworks strives to provide appropriate testing to accurately establish realistic product capacities. 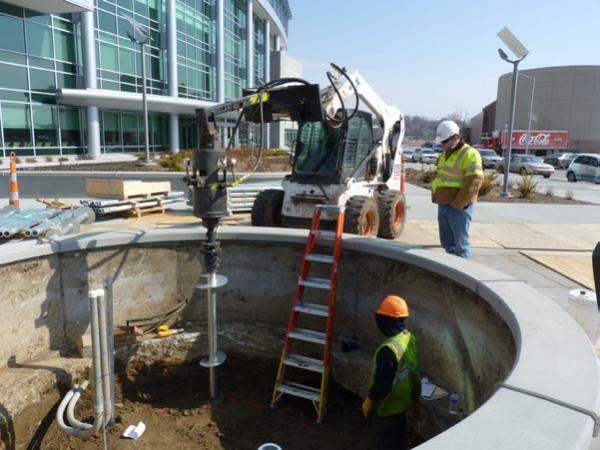 Our goal is to provide innovative solutions within the commercial foundation repair industry that are appropriately tested, professionally installed, and perform the way they were meant to. Contact Supportworks by Foundation Specialties LLC today for product availability, technical information, and pricing.